If you find yourself on the main menu of an EA SPORTS title only to enjoy the great compilation of its soundtrack, I can assure you, you are not alone. 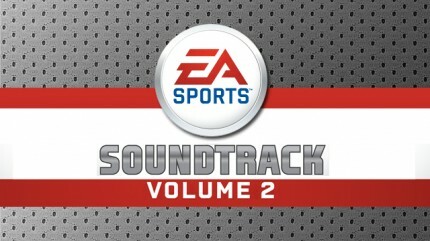 Thankfully for us, EA has released the second volume of the EA SPORTS Soundtrack. This soundtrack is jammed packed with all our favorite Hip-Hop tracks from Xzibit to Kidz In The Hall. Need more? 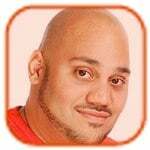 Find the full track listing after the jump. 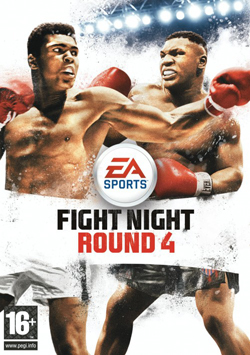 EA Sports has released Fight Night Round 4 for the Playstation 3 and Xbox 360. The boxing game includes both Muhammad Ali and Mike Tyson in its total 48 characters. 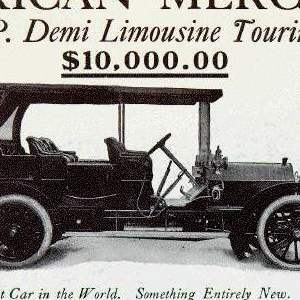 It has a physics-based gameplay engine that should make for more realistic play. Added to the new release is Legacy mode that lets you move up from amateur to the top of the heap. 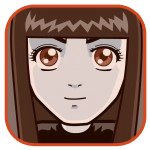 A Photo Game Face tool will help you create your virtual self. Pick one up for $59.99 for either game system. In a push to get people off their butts, EA SPORTS has created a 30 Day Challange where participants are to use EA Active, a workout game for Wiie. TV actress and host Alison Sweeney, one of the EA SPORTS Active 30 Day Challenge participants, will be on the Ellen DeGeneres show today, Monday 11th, taking Ellen through a workout and giving every audience member a copy of the game. If Ellen has not used a Wii before, this is sure to be an interesting thing to watch. Want to get active? EA SPORTS Active for the Wii will be available in stores on May 19th. One of most outspoken tennis players of all times will be featured in EA Sport’s Grand Slam. 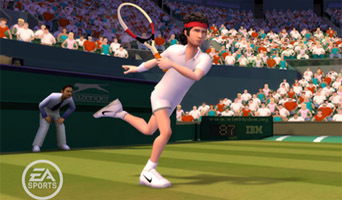 John McEnroe will star in the game designed for Wii and it is an obvious choice as the athlete won seven Grand Slams, including three at Wimbledon. This will be one of the first games to feature Wii MotionPlus with enhanced depth and precise ball placement. Expect Grand Slam to be released June 16 for $49.99. We are seated for the Electronic Arts E3 2008 Media Briefing. We start the conference off right, with a montage of a ton of upcoming EA titles, focusing on some new sports titles, upcoming Sims releases, and a bunch of casual games like Monopoly, Boogie, and Operation (aw yeah!) Of course, Spore is also featured here as well. John Riccitiello hits the stage to talk about what EA has this afternoon to show us, and he says they won’t be doing PowerPoint, statistics, or sales figures. Instead, they are going to focus on the games, and we will be hearing from the people that make the games. Rod Humble of The Sims Studio comes out to talk about The Sims. He announces Sim Animals. in this game you create groups of animals and their friends, habitat, etc. Some animals are friendly like deer and rabbits, while wolves and bears can stir up trouble. We then get a trailer. We get a baby cub bear interacting with a squirrel, and then a fox joins the fray. It seems that you basically control the game by using the world as your UI, you have a hand similar to Black and White. Will be exclusive to Wii and Nintendo DS in January 2009. Peter Moore, long known as the public face of Microsoft‘s Xbox division, stepped into his new digs as EA Sports president last week and started off saying he wants EA Sports’ brand to compete in a broader arena than just the video games market, facing off against general sports brands like Nike and ESPN. Despite selling millions of copies of its flagship titles each year, EA Sports has struggled to expand effectively and EA seems to be banking on Moore to help them widen their reach. “That could mean broadcast sports, sports camps, the ability to license consumer products around the EA Sports brand,” he told the New York Times. Moore is also looking to leverage EA’s technology to create social networking and news sites, all centered around sports and of course the EA Sports name. “I think we have an opportunity to aggregate information and bring it to life with video technologies,” he said. Today Madden 08, the latest installment in the perennial bestselling series from EA Sports, hits stores around the country. It’s available for pretty much every system you can think of, although naturally the big contenders are the technically superior Xbox 360 and PS3 versions. 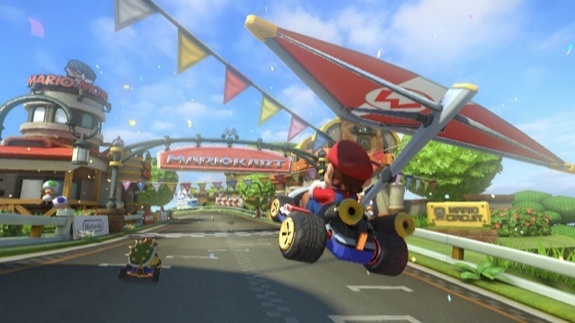 A lot of press in the weeks leading up to this release has noted the framerate differential between the two: the Xbox 360 version runs at 60fps, whereas the PS3 version runs at 30fps. Some might argue that the human eye can only register up to 24fps, so this is a moot point, but many FPS fans swear by blistering framerates and therefore would say that the difference is huge. Whatever side you may take in that debate, word on the street says that the PS3 game does indeed look choppy at times, although it’s not a dealbreaker. The new Madden showcases a big new feature that designates top players at all positions as “Weapons”. You might have a fast receiver, a big hitter, and a smart QB, all of whom can outperform their competition in certain areas and are capable of some awesome plays. These designations go a long way toward rendering each team unique, a far cry from old school games where you could only tell an Pro Bowler from a rookie by the number on his jersey. Aside from this new feature, classic Madden gameplay has been tweaked and tightened up based on praise and complaints about previous incarnations to give us more of what we want. If you’re looking to pick the new Madden up soon, take a look at Toys R Us, where you can get any other game in the store for 50% off if you get Madden on the same receipt. GameVideos compiled some footage of Madden NFL 08, which you all know by now has one distinct difference between the PlayStation 3 and Xbox 360 versions – the PS3 version will run at 30 frames per second, while the 360 version will run at 60. The above allows you a pretty good look at seeing what the difference is. Personally, I really notice the difference at 100%. That could be because I spend a ridiculous amount of time playing sports games and that sort of thing catches my eye, though. It becomes extraordinarily apparent, though, when they slow the video down to 50% and 25%. Now, you could argue that it doesn’t matter what the game looks like at those speeds, but it really illuminates the difference of what you’re actually looking at. GameVideos has posted a video of an interview with Sony Computer Entertainment’s Phil Harrison, head of worldwide studios, which took place during this year’s E3. 1UP.com’s Sam Kennedy and EGM’s Dan Hsu talk with Phil about Home, LittleBigPlanet, Madden’s 30 FPS woes, the Wii’s success, and more. Be forewarned that if the pronunciation of the word “beta” as “bee-tah” irritates you, you may want to skip the portion pertaining to Home.